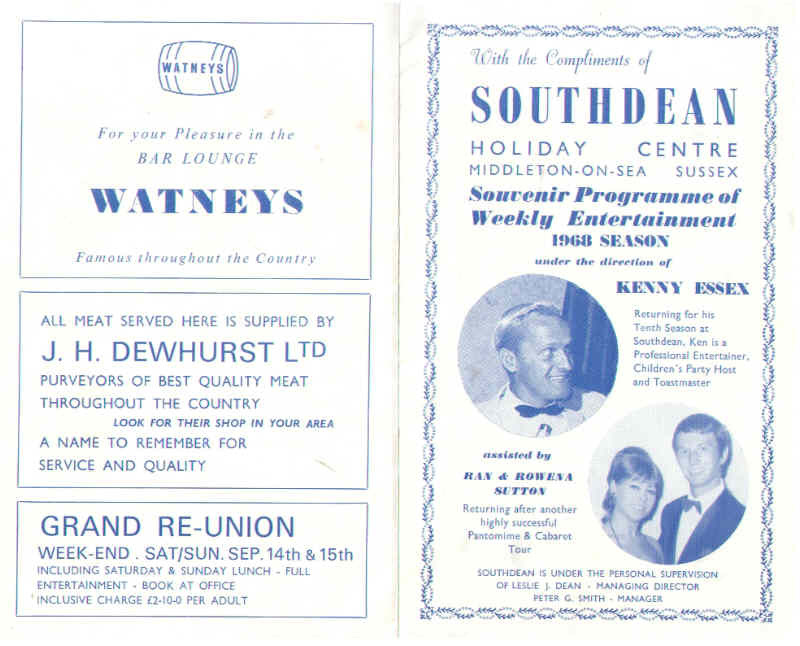 1968 season under the direction of Kenny Essex - returning for his 10th season at Southdean, Ken is a professional entertainer, children's party host and toastmaster. ... 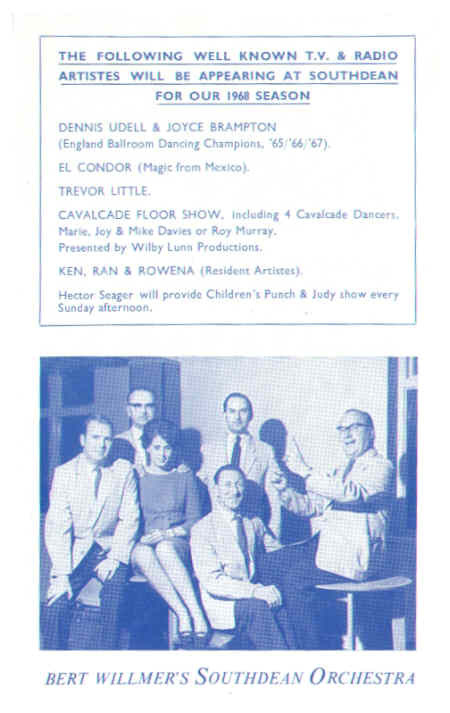 Assisted by Ran & Rowena Sutton - returning after another highly successful pantomime and cabaret tour. 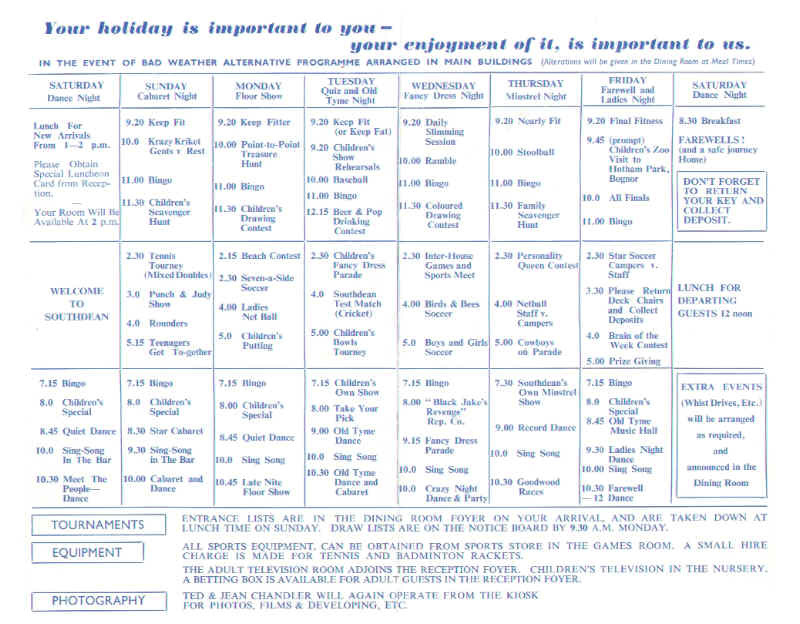 Your holiday is important to you - your enjoyment of it, is important to us.